We decided to follow Monocle’s lead, so we shut down our social-media accounts. Like Monocle, we didn’t create Breath for promiscuous readers. But one thing it hasn’t done and claims it will never do is social media. No Facebook, Instagram, or Twitter. Unlike virtually all other media companies, including the New York Times, Bloomberg, and Time, it has stayed committed to the print experience and has refused to allow the social-media giants to monetize its content. Today, promiscuous believers are all the rage. Big-time ministries rarely point to testimonies or attendance numbers. With them it’s all about eyeballs, clicks, and “influence.” That’s because those eyeballs prop up their bottom lines. More eyeballs translate into more social-media advertisements, which amount to a few more dollars in the ministries’ coffers. Preachers have rationalized that this advertisement platform where ads for lingerie and house-flipping conferences sit alongside or even in front of the revelation of the Word made flesh is worth the trouble in broadening the reach (read: market share) of their messages. But it isn’t scripturally sound. When Jesus deputized the seventy in Luke 10 and sent them out to preach, he forbade them from self-financing their preaching tour. He told them not to carry any money and to rely on those who received the gospel to support them. If the hearers didn’t support them, they were to move on and even wipe the dust off their shoes as they went. Shunning social media is no doubt a gutsy move. Especially with so many of the larger ministries wedding themselves to dubious for-profit media platforms and inculcating promiscuous habits in their hearers (giving for a personal financial harvest is one). But the answer isn’t to fall in and compete with unholy practices. The Lord was clear when he said that the laborer deserves his wages. Paul laid out the same rule in Corinthians. Don’t you know that those who are employed in the temple service get their food from the temple, and those who serve at the altar share in the sacrificial offerings? In the same way, the Lord commanded that those who proclaim the gospel should get their living by the gospel. Culturally (speaking of the culture of God’s kingdom), the Lord’s ministers—apostles and prophets and the like—aren’t called to be entrepreneurs. They are called to labor spiritual good into the kingdom’s citizens, namely, the body of Christ. Those citizens, in return, are scripturally expected to materially support those preachers: “Is it too much if we reap your material benefits?” As we see in Luke, if the believers don’t support the preachers, the preachers are supposed to move on. Here at Breath, we’ve drilled down to follow the scriptural model. 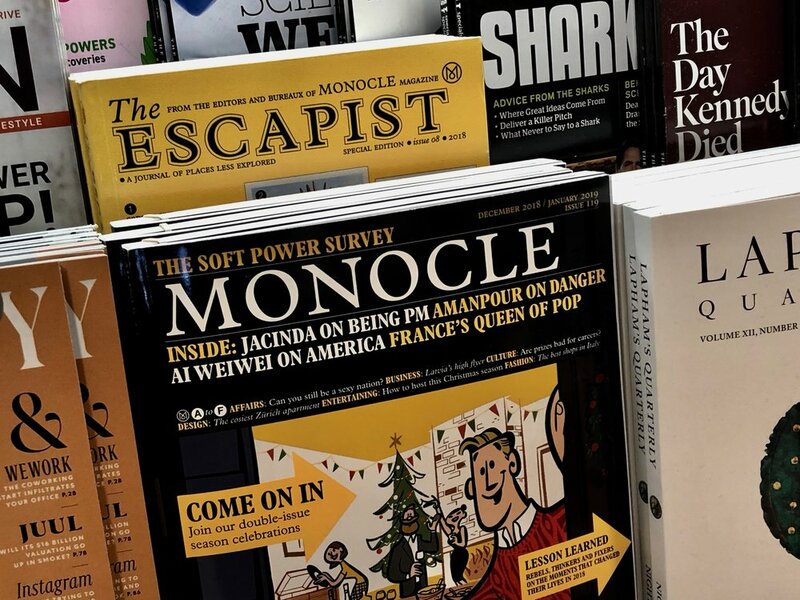 Like Monocle, we’re no longer discounting our print magazine or using it as a means to gain an advertising base (see what we mean on our advertising page). We’re still publishing our podcast because iTunes doesn’t involve any kind of leveraged monetization, but we’ve put our written work behind a password. You have to sign on to receive it. While it’s not perfect, it does require a heightened level of commitment. The Lord said that he is seeking disciples—deliberate, faithful followers—not promiscuous believers. We’re not seeking eyeballs, because the Lord isn’t either.